Product prices and availability are accurate as of 2019-04-23 14:04:54 EDT and are subject to change. Any price and availability information displayed on http://www.amazon.com/ at the time of purchase will apply to the purchase of this product. 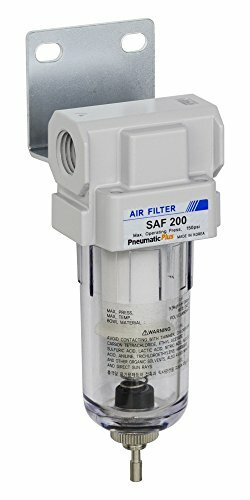 PneumaticPlus SAF Series Miniature Particulate Filters offer a cost effective solution in removing particulates and moisture from your airline. 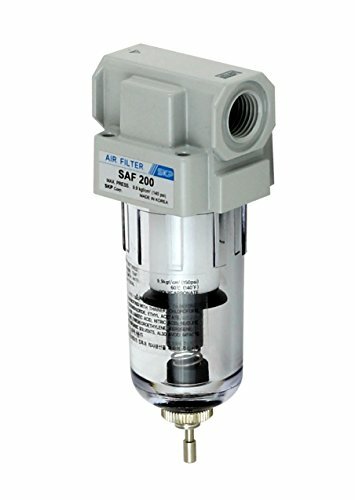 SAF Series Filters use a 10 Micron Element as the standard element, and offer 2, 5, 20 and 40 Micron Elements as an option. 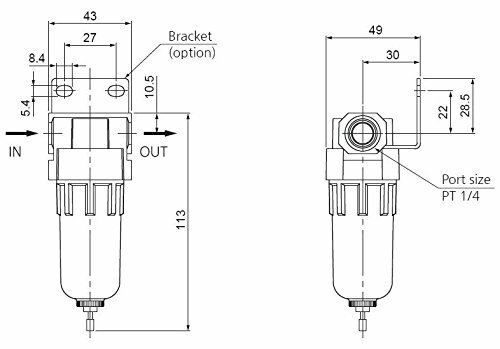 Bowl options (Metal or Polycarbonate) as well as drain options (Auto or Manual) are available. Its modular design allows SAF Series Miniature Filters to be connected to a SAR Series Miniature Regulator (http://www.amazon.com/dp/B016B1LJNI) and/or SAL Series Miniature Lubricator (http://www.amazon.com/dp/B016PFEFOU) using our Modular Spacer brackets to complete a full Filter Regulator Lubricator (FRL) air preparation unit. Please check our Amazon Store for our complete line of our products (http://www.amazon.com/pneumaticplus).